Colby Mowery (right) talks with Koala (left) and another attendee during a Sunday meal. Photo by Bill Healy. 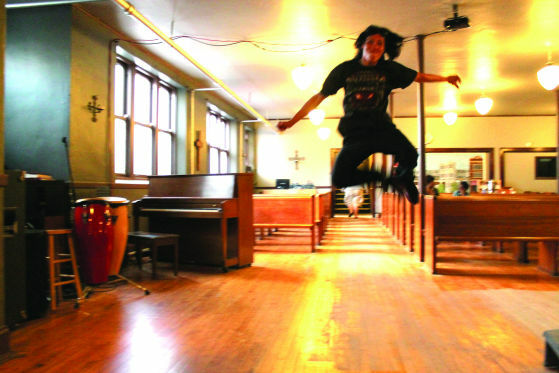 One young person leaps for the camera after a Sunday dinner at C3. Photo by Kate Sosin. Drakera, 20, eats spaghetti and meatballs at Safe Haven. Photo by Kate Sosin. C3 Pastor Jon Pennington. Photo by Bill Healy. 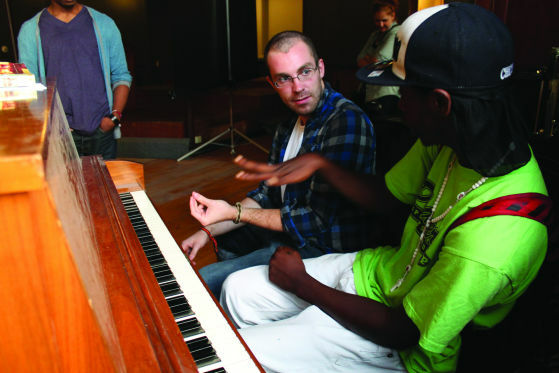 Koala (right) talks music with a C3 volunteer. Photo by Kate Sosin. 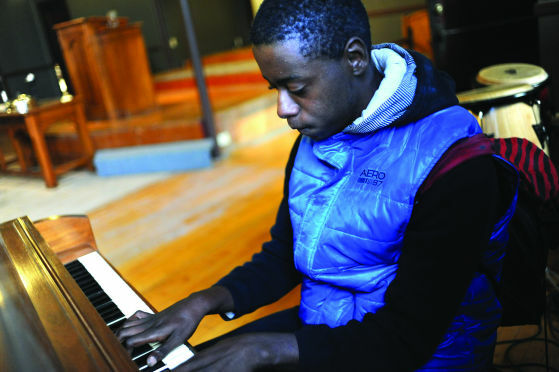 Koala, 18, plays piano inside C3. During Sunday dinners, youth regularly take turns playing the church’s instruments. Photo by Bill Healy. 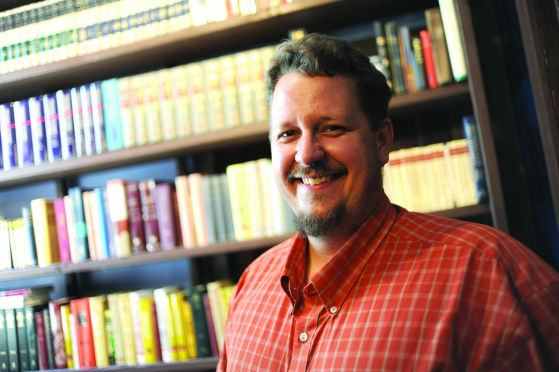 Many youth skip Sunday services, biding their time outside until Safe Haven begins. Here, Safaria, 20, and Kasmiere, 19, joke with friends. Photo by Erica Demarest. Colby Mowery rifles through C3’s closet. The church gives free clothing to youth, sometimes setting aside items that particular young people have requested. Photo by Bill Healy. People line up for Sunday’s Safe Haven dinner, which is cooked by church volunteers. Photo by Bill Healy.